Paris Vogue is renowned for its allegiance to a select coterie of models and its November edition marks the return of Italy's finest modelling export to the fashion bible's pages. 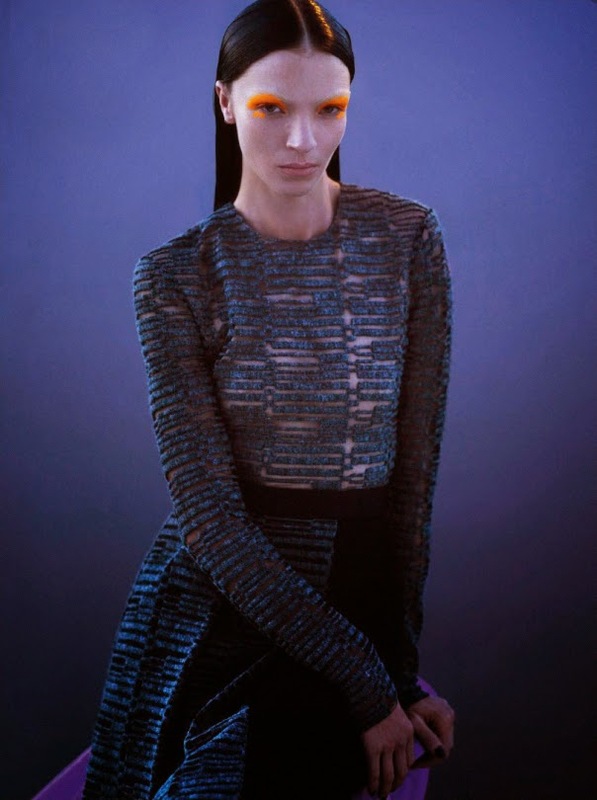 The iconic Mariacarla Boscono is magnetic as she poses for Mert Alas and Marcus Piggott in the editorial "Blue Note". The thirty-four year old industry veteran remains as pristine as ever conveying an aristocratic beauty and powerful sensuality that has been her calling card since she began modelling at age eighteen. With slick styling by Fashion Editor Joe McKenna, and striking yet understated hair and make-up courtesy of Shay Ashual and Luci Pica, Boscono is effortlessly elegant and compelling as she averts and plays with the camera's gaze. 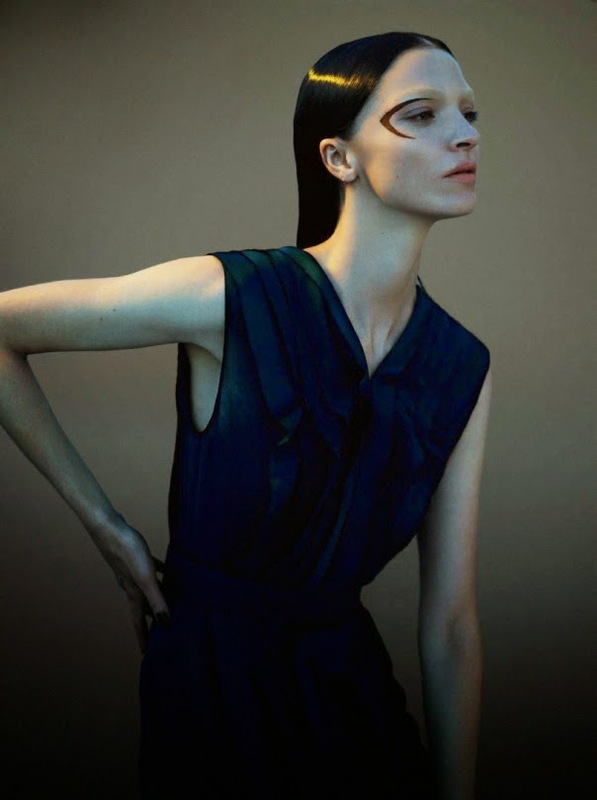 Boscono's "model as muse" propensity has ensured her rare high fashion relevance throughout her career with Givenchy's Riccardo Tisci and Karl Lagerfeld amongst her biggest supporters. Recent Fall/Winter 2014 campaigns for Givenchy, Salvatore Ferragamo, Laberta Ferretti, and La Perla, in addition to cover appearances for W, Vogue Italia, and Japanese Vogue are a testament to Boscono's enduring iconic quality.